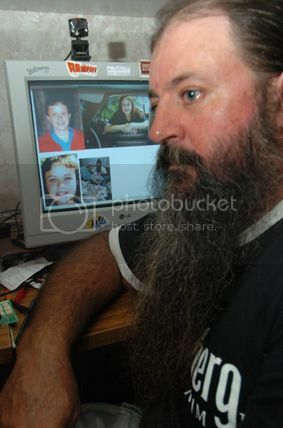 - Mick is actually photographed looking at this web page on his computer. 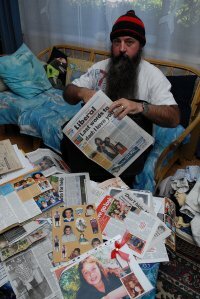 Lateesha's Dad, Mick Peet, surrounded by newspaper clippings and photos of his beautiful daughter he has collected during his campaign to find her. Police will search the banks of the Macquarie River south of Dubbo for the remains of murdered woman Lateesha Nolan, after a member of the public discovered a bone in the area last month that has been confirmed as belonging to her. 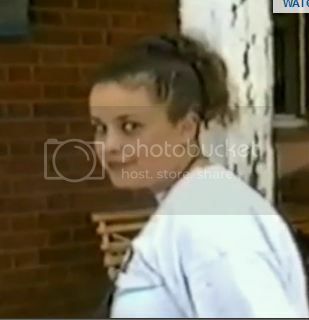 The 24-year-old disappeared from her Dubbo home in January 2005 and, seven years later, her cousin Malcolm Naden was convicted of her murder after he was arrested following one of the biggest manhunts in NSW history. Police said a member of the public retrieved a bone from the riverbank late last month and forensic testing revealed it was human. Further DNA testing and other analysis confirmed it as belonging to Ms Nolan, a mother-of-four. Homicide squad detectives will conduct a coordinated search of the riverbank near Butlers Falls on Tuesday, with the operation expected to take a number of days. 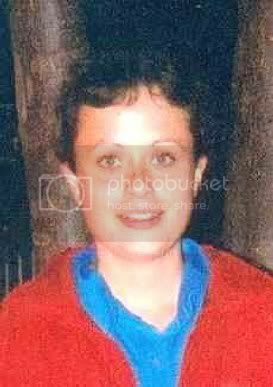 Homicide Squad Commander, Detective Superintendent Mick Willing, said detectives were determined to find Ms Nolan's remains. "We now know we are looking at the right spot, which is near the 2012 excavation, but changes to the terrain have meant this area was unexposed at that time," he said. "The loss of a loved one is never easy to deal with, but the grief can be even harder to overcome when you can't lay them to rest. "For more than a decade investigators have been following every line of inquiry in hope of ending the family's search for answers. "We hope we will soon be able allow them to properly - and respectfully - say goodbye." In 2013 Naden, a former shearer and abattoir worker, was sentenced to life in prison after facing court on two murder charges. The then 39-year-old had pleaded guilty to the murder of Ms Nolan, who on the day of her death - January 4, 2005 - had a "chance meeting" with Naden at their grandparents' house. 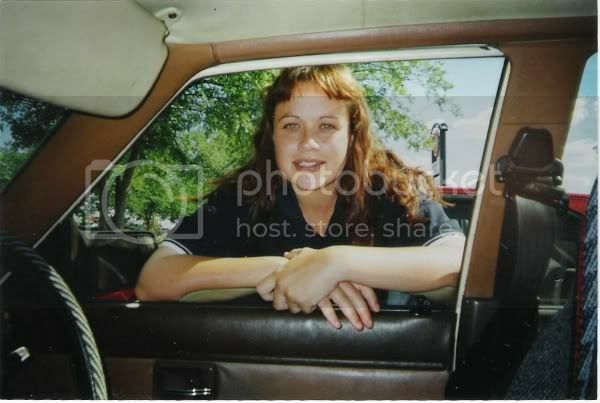 She offered him a lift so he could go fishing but, during the drive, Naden strangled her and then drove to a location near Butlers Falls Reserve outside Dubbo, dug a hole beside the Macquarie River, dismembered her body and buried it. 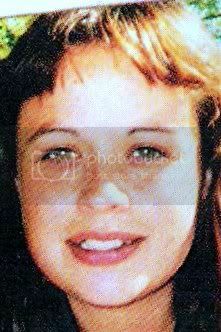 Naden was also sentenced for the murder of Kristy Scholes, 24, who was staying with him at his grandparents' house in Dubbo when he strangled her in June 2005. Naden then went on the run before being captured in 2012 after one of the state's biggest manhunts. He committed a spate of break and enters in rural bushland and shot a police officer during his seven years as a fugitive. 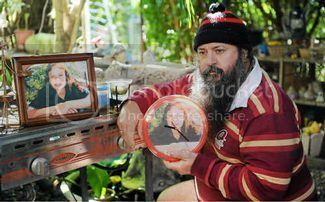 Last year, Ms Nolan's father Mick Peet, who lives in Queensland, told Fairfax Media he still agonised every day about losing his daughter, and was haunted by the fact her body had never been recovered. He said at the time that he still held out hope that his daughter's body may be found, but he believed it was increasingly unlikely as time went on. "With what he did to her, dismembering her body and burying it, it would be a very hard task to locate her," Mr Peet said at the time. "I doubt they will ever find her but the police said they may be lucky. With the work going on at the weir somebody might find something. There is always hope. "I have friends who fish on the river and whenever I see photos I wonder if she is there somewhere." The death of his daughter had taken a huge toll on his health, he said. "My health has gone downhill and every special occasion is hard - birthdays, Christmas - because it is so close to the time it happened. It's something you never get over," he said. "Lateesha's mum said it takes a big piece of your heart and that is so true. You never get over it. "For seven years [before Naden was caught] I barely sleep and I was constantly searching, looking on the internet to try and find answers. It was hard on my family and I am trying to catch up with that seven years. "The biggest relief in the last 10 years came when they caught Malcolm Naden. To know that he won't be able to hurt anyone ever again is important."